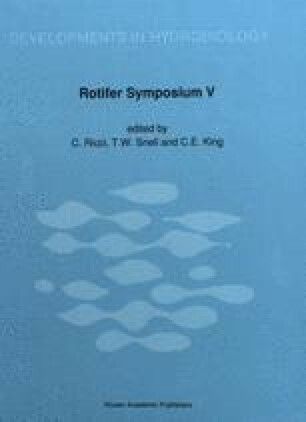 The typological concept of rotifer species and the morphological basis of rotifer systematics is reviewed and alternatives proposed. Occasional sexuality in the cyclical parthenogenetic life cycle of monogononts permits application of the biological species concept to this group. Data from cross-mating experiments with Asplanchna, Brachionus and Epiphanes illustrate the usefulness of reproductive isolation as a criterion for species boundaries. Populations from different geographic regions are often interfertile indicating that rotifer species are genetically integrated over wide areas. The main types of isolating mechanisms operating in monogononts are reviewed. The role of behavioral reproductive isolation in maintaining species boundaries is examined. The use of a mate recognition bioassay which estimates the probability of copulation and quantifies the degree of isolation is described. Recent work of the mechanism of mate recognition is reviewed. It is concluded that the biological species concept is applicable to rotifers and that a more experimental approach to determining species boundaries is both feasible and desirable.